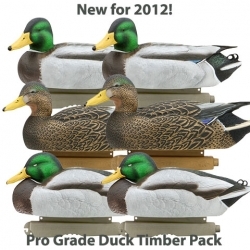 New for this year, GHG brings you the GHG Pro-Grade Duck Decoy Timber Pack. 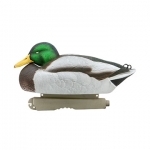 With a variety of body styles and head positions, these anatomically perfect decoys will convince spread tested ducks. 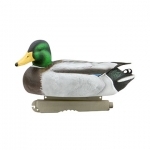 Same sizes, rugged construction and 60/40 keels to provide a lifelike ride in all water conditions. 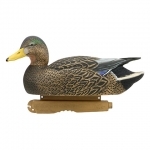 These Decoys have exceptional detail for superior lifelike realism. The Pro-Grade Duck Decoy Timber Pack (AV73115) by Greenhead Gear GHG Avery Outdoors is a great combo pack.